Are you constantly fighting database performance fires, looking in vain for the root cause of SQL Server slowdowns? Without the right information, you could waste valuable time looking in the wrong places for the answers to your performance problems. You need accurate, actionable, detailed metrics to quickly identify and address database problems. With SQL Sentry, you can effectively monitor, diagnose, and optimize your entire database environment. SQL Sentry helps you get out of fire-fighting mode so you can keep your databases running continuously at peak performance. 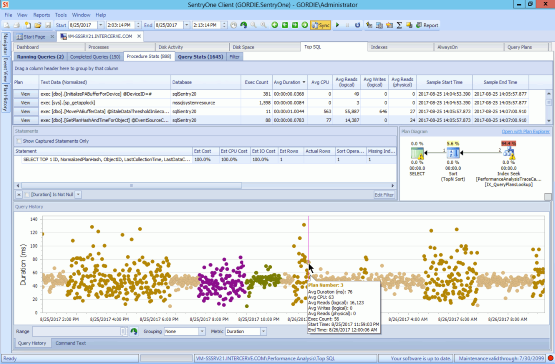 SentryOne SQL Sentry gives you the level of detail you need to find and fix SQL Server performance problems. SQL Sentry is the flagship product in the SentryOne monitoring solutions set, and was built by SQL Server experts to help you save time and frustration in troubleshooting database performance problems. SQL Sentry offers powerful capabilities in an intuitive dashboard that gives you an at-a-glance picture of your SQL Server environment health, and makes it easy to drill down for more details. Want to know exactly how SQL Sentry can help you end your SQL Server performance problems? Dive into the unique capabilities below. Learn how SQL Sentry helps these database experts optimize SQL Server performance. The Performance Analysis dashboard gives you relevant, actionable metrics so you can quickly troubleshoot SQL Server performance. See actionable performance information about your monitored servers in an easy-to-use Performance Analysis dashboard that displays a graphical view of monitored server activity with "Jump To" navigation that lets you drill down to granular details. Frustrated by the time and effort it takes to identify SQL Server queries and procedures that are causing performance bottlenecks? The Top SQL view in SQL Sentry shows execution plan diagrams, query history, and more, so you can find and fix potentially problematic queries. The query analysis capabilities in SQL Sentry go far beyond what you'll find in SQL Server Management Studio (SSMS), giving you the information you need to quickly resolve problems. Top SQL helps you analyze poorly performing queries that are slowing database performance. Watch this two-minute tour of Advisory Conditions in SQL Sentry to see how you can proactively manage notifications. 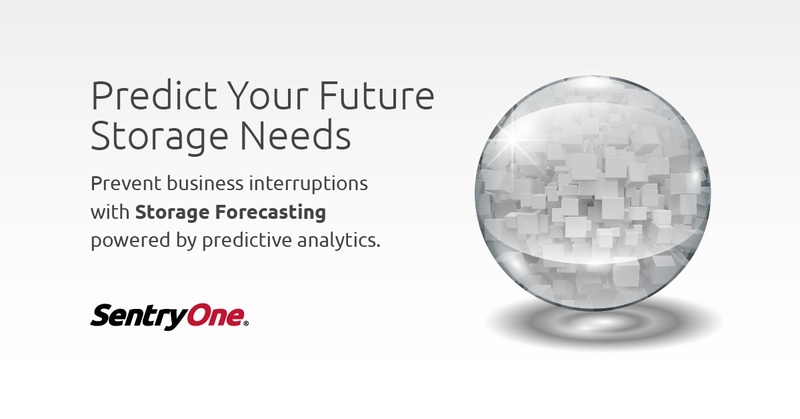 Proactively manage SQL Server database performance and eliminate alert fatigue with Advisory Conditions that let you set relevant, actionable alerts based on conditions specific to your environment. With Advisory Conditions, you can automate responses to specific conditions, such as the results of a T-SQL query, a WMI query, a performance counter value, or any combination of values or queries. Troubleshooting SQL Server deadlocks—where tasks are contending for resources—can be time-intensive and frustrating. Especially in complex deadlock situations, you could waste limited resources looking in the wrong place for the answer to the problem. SQL Sentry Deadlock Analysis helps you quickly determine the root cause of the deadlock so you can restore the database to peak performance. See how SQL Sentry Deadlock Analysis displays deadlocks in a visual format so you can quickly resolve the problem. Watch a two-minute video of the Event Calendar in action. Want to get the full picture of when SQL Server jobs and Windows Scheduled Tasks are scheduled to run so you can resolve potential conflicts? The SQL Sentry Event Calendar gives you a visual display in an Outlook-style calendar so you can ensure that every task and job will have sufficient resources to complete. The Event Calendar is one of the ways SQL Sentry helps you manage your SQL Server database proactively, so you can avoid unexpected database slowdowns that can negatively impact the business. SQL Sentry can automatically monitor AlwaysOn Availability Groups, which provide HA/DR capabilities in SQL Server. SQL Sentry gives you real-time insights into the state of your AlwaysOn environment. You can view the environment by Windows Server Failover Cluster node, by SQL Server instances, or by Availability Group. Tune high-impact queries and plan a successful indexing strategy with Plan Explorer, which is integrated with SQL Sentry. Plan Explorer helps you troubleshoot poorly performing queries by giving you powerful index analysis capabilities, a visual display of query statistics, and query playback so you can see which operators are putting the most load on the system. The Environmental Health Overview in SQL Sentry gives you a snapshot of your SQL Server environment health so you can easily prioritize troubleshooting activities to keep your database running at peak efficiency. Managing multiple events such as SQL Server Agent jobs and Windows Scheduled Tasks to avoid resource contention across your environment can be challenging. SQL Sentry Event Chains help you create and analyze event workflows so you can identify and address potential performance problems. Want to get a clearer picture of how processes such as I/O, recompiles, cursor operations and other activities are affecting database performance? 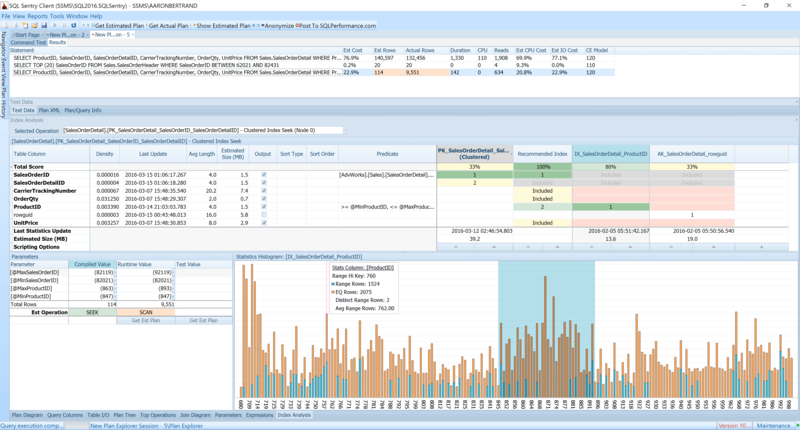 SQL Sentry QuickTrace gives you a comprehensive snapshot of activity created by combining process-level data and trace events collected during a brief sample period. Successfully analyzing and managing SQL Server indexes can be frustrating and time-consuming. SQL Sentry Index Analysis gives you a sandbox environment so you can explore the impact of various index strategies before you implement them. SentryOne brings a lot more to the table than any other monitoring solution I've ever used, and I’ve used quite a number of them. The amount of data you can get in a reasonable amount of time at a comprehensive level of data on the performance of your system is phenomenal." *License option requires year one annual maintenance ($499) and provides technical support via email and phone, software updates and version upgrades. How many SQL Server instances to quote?